Paris may be the last destination when it comes to Fashion Week, but probably the most awaited. In particular, one cliff-hanger seems to be recurring lately: “Where is Karl Lagerfeld going to bring us this time with his Runway Show?”. The famous designer has a history in surprising his audience, not only with his outstanding creations, but also with the peculiar settings where his shows are held. The Grand Palais has been transformed into a Supermarket to present the FW14, in a street to host a feminist rally for the SS15, in a Chanel Brasserie for FW2015, in an Airport for SS16, just to mention a few. If a Fashion Show’s YouTube views were an indicator for a brand’s ability to catalyse attention and its desirability, Chanel would be the winner by far. In March 2016, few days after the last Fashion Show, the brand scored 221.202 views on its dedicated channel, while closest competitors were far behind, at around 50.000 to 80.000 views. 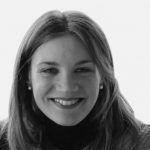 Chanel’s Multichannel Strategy, simultaneously exploiting several digital channels, allows everyone to get insights into the French Fashion house. 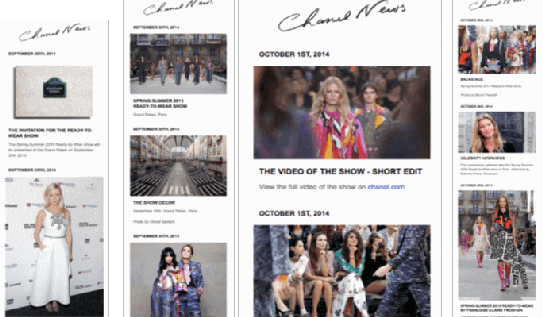 For instance, “Chanel News”, which releases relevant content on its website, is simultaneously highlighted in a dedicated Newsletter and supported on YouTube. Moreover, not only does the brand announce when it is possible to watch Fashion Shows online, like the majority of brands does, but it also publishes additional exclusive contents: interviews with Karl Lagerfeld, where he explains the Collection and reveals interesting details, contributions from VIP guests who comment on the show and their favourite pieces, videos and pictures depicting backstage moments and garments details. Finally, when it is not Fashion Week, Chanel is going feed your curiosity abundantly with other content, featuring Pharrell Williams, Kristen Steward, Gisele Bündchen, Cara Delevingne, or with its “Inside Chanel” videos rediscovering Chanel’s history and iconic symbols.